The Great Outdoors is 40! And to celebrate the Spring 2018 issue is a 40th Birthday Collectors Edition and includes a supplement on Britain’s 40 Finest Mountains. The latter was compiled by fifteen writers and hikers including myself and it took a great deal of debate to come up with the final list – and we know that many people will disagree vehemently with it! There are descriptions and photos of all forty mountains. 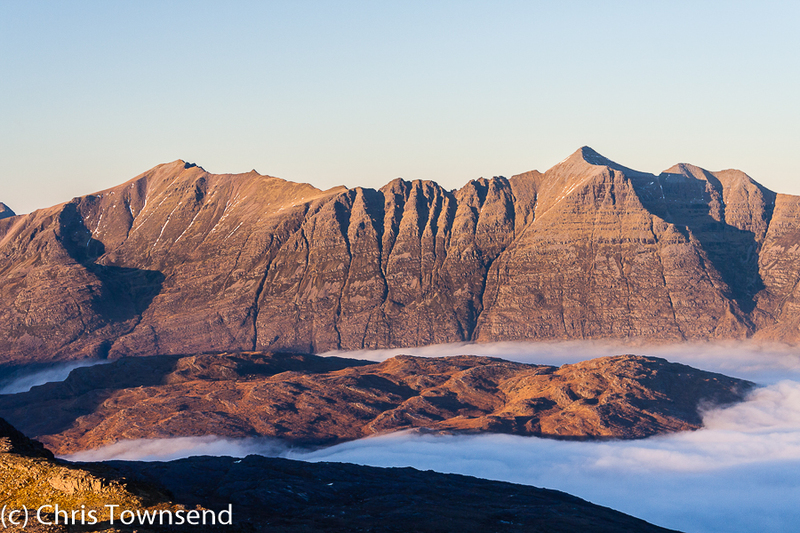 I’ve written about Ben Macdui, Creag Meagaidh, and Liathach. The first issue of The Great Outdoors was published just a month before I set off on my first long-distance walk, Land’s End to John O’Groats, and in this issue I’ve looked at that walk and how different the world was then for long-distance walking – no internet, no smartphones, no access legislation, few long-distance paths, few guidebooks (none to LEJOG). I also discuss the gear I used back then and the gear I would use now. I started writing for The Great Outdoors shortly after it was first published, contributing a few gear reviews and trip reports. Roger Smith, the first editor, encouraged me greatly and I’m very grateful to him for helping me get started as an outdoor writer. 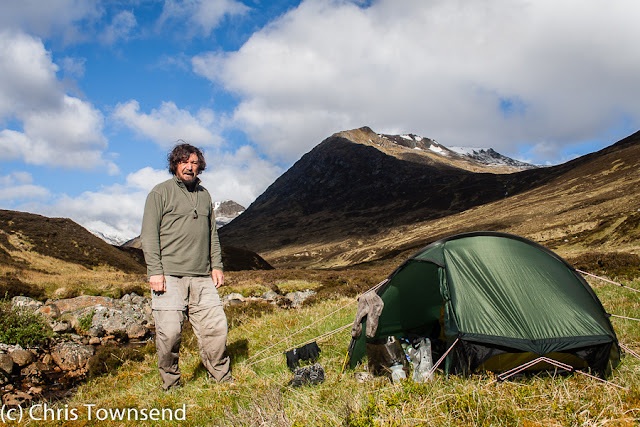 Having left to edit and write for other magazines I returned to The Great Outdoors in 1991 when Cameron McNeish became editor and asked me to write about gear. I’ve written for every issue ever since. My other involvement with the magazine has been with The Great Outdoor Challenge, that brilliant event dreamed up by Hamish Brown, which I’ve now done sixteen times. I remember seeing the quarter page advertisement for the first one, then called the Ultimate Challenge after its first sponsor though still organised and run by The Great Outdoors. I thought it sounded really interesting so I applied and was accepted (I think we all were back then). I was doing my first round of the Munros at the time so I included as many as possible in the walk, which for the only time lasted three weeks (it’s been two ever since). 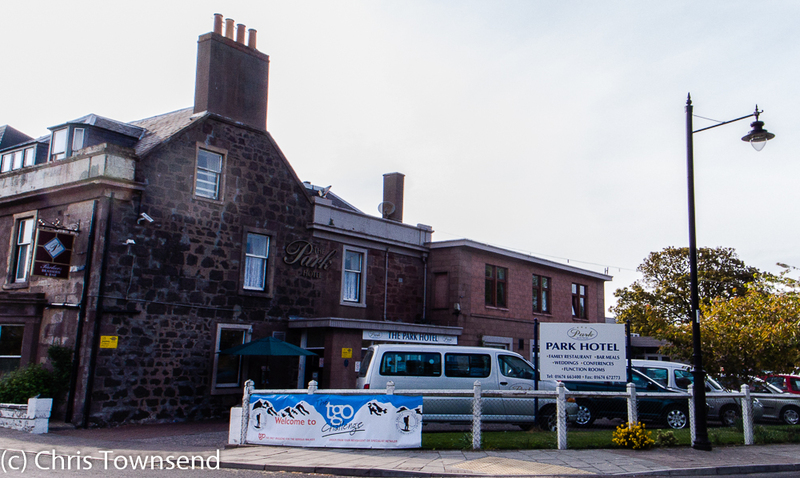 After twenty-one days I walked into the Park Hotel in Montrose to find Roger Smith waiting patiently. All the others had finished many days earlier. The Park Hotel is still the finish and every time I walk in I remember all those other Challenges, all those other years, every one different, every one enjoyable. 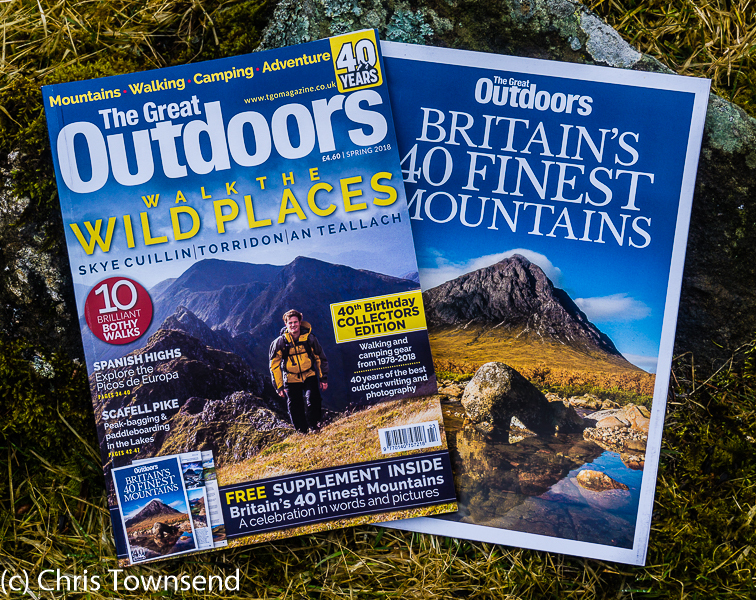 I’m much too involved with The Great Outdoors to have an objective view but I do enjoy reading every issue. I’ve usually not seen anything other than my own stuff before each one appears, which means I can still feel the same interest and pleasure as I did back in 1978. For forty years The Great Outdoors has been part of my life. I can’t imagine it not being. I have learnt so much and enjoyed so much working with the editorial staff. It’s been great! So Roger Smith, Peter Evans, Cameron McNeish, Emily Rodway, John Manning, Daniel Neilson, Carey Davies, Will Renwick and Alex Roddie. Thanks to you all.